Artist: Donald Burton (Actor, England). First printed in 1967, still in print. 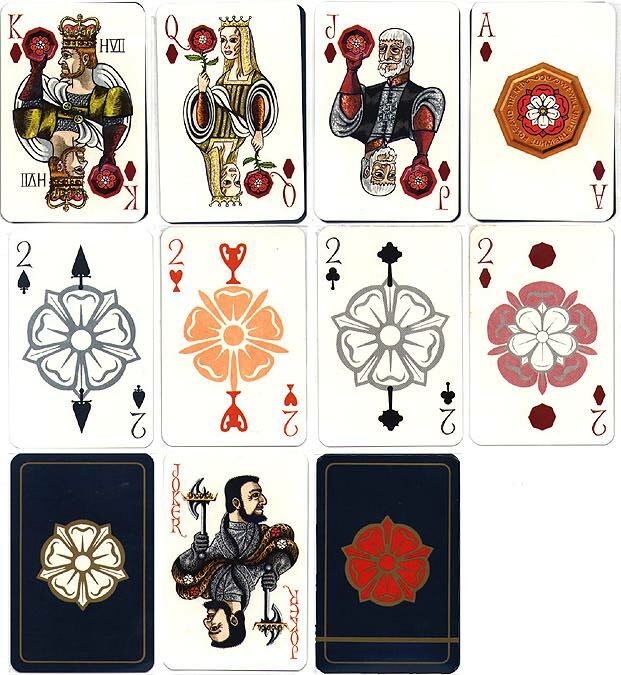 The original name (War of the Roses) explains the presence of a red or white rose on each card. Note the modified suit signs - a combination of French and Italian signs. 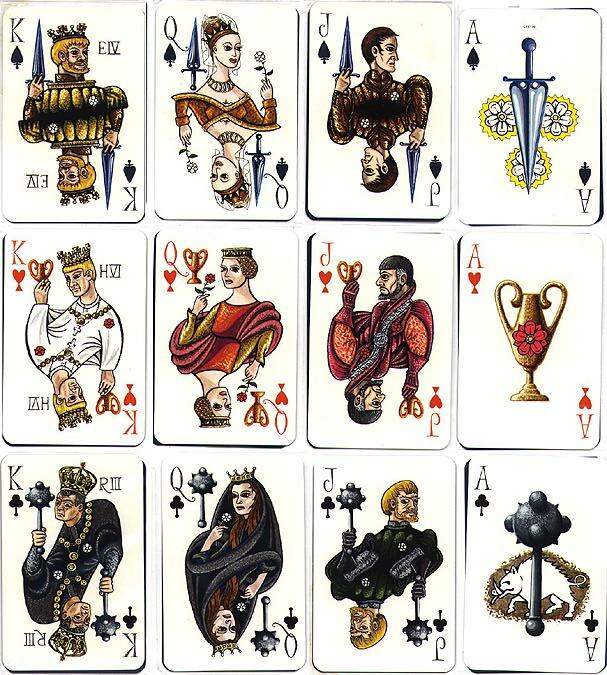 The Italian suit signs are also present as accessories of the court cards. All of the numbered cards have the flowers shown on the twos.